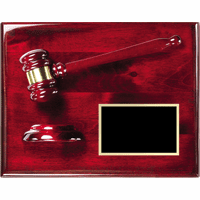 FEATURES/SPECS Designed to pair with any of our wonderful gavels, our solid wood sounding board provides the surface to create the sound you want to get everyone's attention at the meeting, courtroom, charity auction or other event! 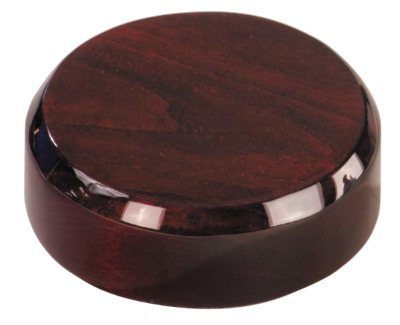 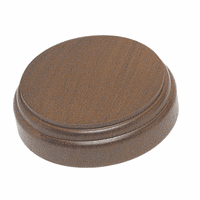 The sounding board measures 4' in diameter, has a strong, polished rosewood finish, and a black velour-lined bottom to protect the surface underneath. 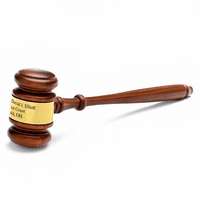 You may be getting this item for your own use, or possibly as a gift for a judge appointment, chairman of the board of your company, committee chairman, or president of your local club. 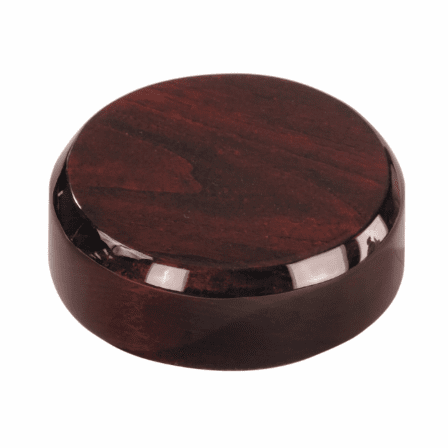 We will package the sounding board in an attractive gift box, and we'll send it right out, usually within 24 hours of receiving your order. 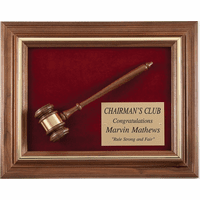 We will also gladly give our full Satisfaction and Performance Guarantee on every product you order from the Executive Gift Shoppe.